სელდა ასალი, დაიბადა იზმირში, მოღვაწეობს სტამბულში. მან მუსიკის თეორია და ვიზუალური ხელოვნება ისწავლა. სელდა ასალმა ჩამოაყალიბა ‘აპარტმენტ პროექტი’ (“Apartment Project”) სტამბულში. 2006 წლიდან სელდა ასალი მუშაობს ვიდეო და აუდიო პროექტებზე, რომელ თაც იგი თინეიჯერებთან ერთად თურქეთში, გერმანიაში, დანიაში, საფრანგეთში, შვედეთში, ირანში, აზერბაიჯანში, თურქეთში და საქართველოში ანხორციელებს. ამ ვიდეო ნამუშევრებს სხვადასხვა სათაურები აქვთ, მაგრამ ერთი კონცეფცია აერთიანებთ: მათი მთავარი თემა ახალგაზრდების ოცნებები და სირთულეებია. ასალი ახალგაზრდებთან ვორკშოპს ატარებს, სადაც ისინი ტექსტებზე მუშაობენ, ეს ტექსები ახალგაზრდების რეალობას ასახავს, ამის შემდეგ ასალი მათ რედაქტირებას უკეთებს. შემდეგ ამ ახალი ტექსტით და მუსიკით იგი ახალ ნამუშევარს, მუსიკალურ ვიდეოს ქმნის. ხელოვანი თვითოეულ პროექტზე სხვადასხვა მუსიკოსთან თანამშრომლობს. თბილისიში სელდა ასალი გეოერის (GeoAIR) დაპატიჟებით 2010 წლის აპრილს ჩამოვიდა. აქაც მან სამუშაოდ თბილისელი ახალგაზრდები მოიწვია. ვირკშოპების მეშვეობით ამ ახალგაზრდებმა ასალთან ერთად ახალი ვიდეო ნამუშევარი შექმნეს, რომელიც მათ რეალობას ასახავს. ასალმა ეს პრეოქტი მუსიკოს ჯემ აკკანთან ერთად განახორციელა. Selda Asal is an artist, born in Izmir. She studied Musicology and Art. Initiator of the “Apartment Project” in Istanbul. Currently living in Istanbul. Since the year 2006, Selda Asal has been producing projects consisting of video films, sound installations and music videos by working with teenagers in Turkey, Germany, Denmark , France, Sweden, Iran, Azerbaijan, Armenia, Georgia etc... The videos have different titles, but conceptually they all focus on dreams and struggles. The artist creates workshop spaces in order to collaborate with youngsters on texts focusing on dreams and struggles and then prepares a new collage text from parts of what they have written. This collage text forms the lyrics of the video works. The music in the videos is produced in collaboration with different musicians each time and the final work is filmed by the artist. 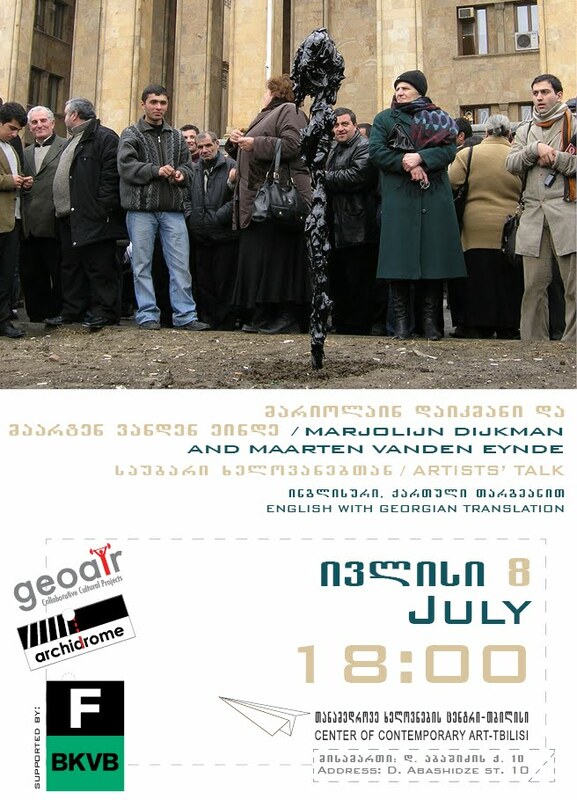 In Tbilisi, she has been invited by GeoAIR residency for one month, during April 2010. Here too she focused on Tbilisi’s young people from different backgrounds. Through workshops her digital film is shaped by these young people according the stories they tell, their wills and circumstances. 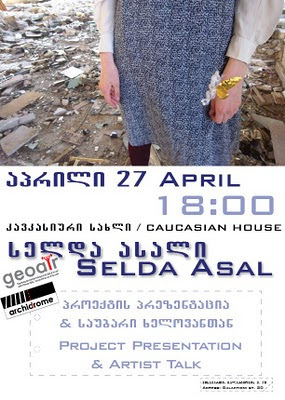 In Tbilisi Selda Asal worked with the sound designer Cem Akkan.